While you can’t develop Kylie Jenner lips overnight, there are certain tips and tricks to make your lips look fuller, kissable and gorgeous— no painful injections or other lip treatments are required. But it’s the 90’s favourite kid – lip liner. However, for many finding the right lip liner and lining it can take some skill. Luckily, we are there to help you out. In the post below, we give you a short tutorial to help you with lip liners and how to do liner the 2015 way — something we’re obsessed with. So read ahead and get enlightened with some of the tricks that everybody’s in the Hollywood is using, because who doesn’t want a natural pucker up lips? A Q-tip to clean up. Use a lip balm over your lips and blot with a tissue paper. Choose a lip liner (I chose Lasting Sensation by MAC,) close to the shade of your own lips. Pick this lip liner no matter what lipstick you are wearing (yes, even with red or candy yum yum.) Tip: A lip liner not only gives you a great base for lipsticks, but will also make your lip color last longer. 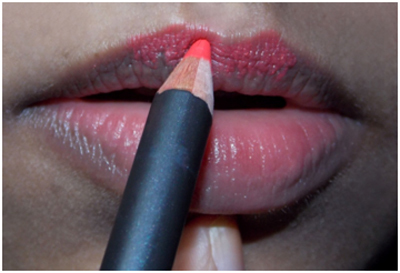 Begin by carefully lining your lips slightly on the outside of your natural lip line. Be sure to accentuate your Cupid’s bow and draw an “M” shape on the upper lip carefully. 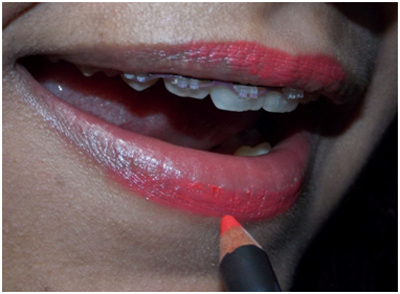 Take the liner and draw on the bottom lip, like one line on the center of the lip line. Tighten your lips in an open mouth smile for achieving this. This is definitely a key step. 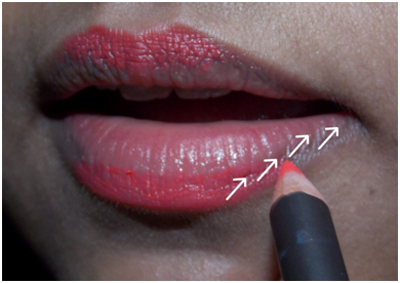 Use the lip liner in short strokes to fill in the entire upper and lower lip lines. 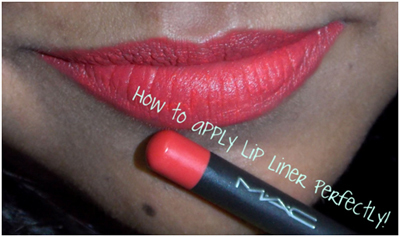 Once you fill the lip lines, start filling in the lips carefully. 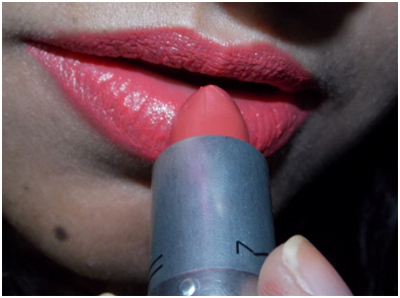 The best way to get good coverage when doing this is to hold the liner’s side, flat on the surface of your lips. Glide the lip liner smoothly. Now, this step will create more light on your lips and make them look more three-dimensional. 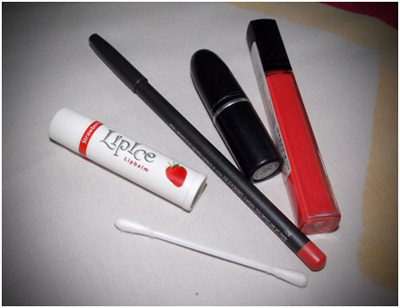 Now that you have finished applying the lip liner, use a lipstick or lip-gloss over the lips! 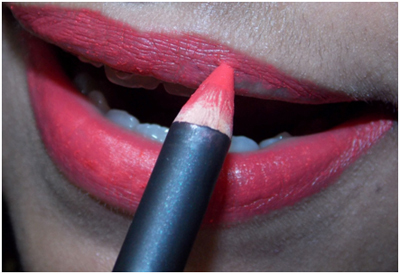 Ensure you fill in the lips using a lip brush to blend the lipstick into the line. I suggest you to pick an angled brush which will give your lips better definition than if you were just applying straight out of the lipstick tube. Tip: While opting for a lip gloss, make sure it is lighter than the lipstick to create a three-dimensional effect and then blend together. Even perfect for a dramatic look! For the final touch, use a cotton bud to clean any color that may have come out beyond the lip line. Tip: Keep in mind, lip lining is not a look you can just swipe on and forget about. Just like our favourite face contouring, lip contouring isn’t easy and certainly doesn’t fall into the lazy girl category. A lip liner not only gives you a great base for lipsticks, but will also make your lip color last longer. Use a lip liner not just to line your lips but also to fill them. 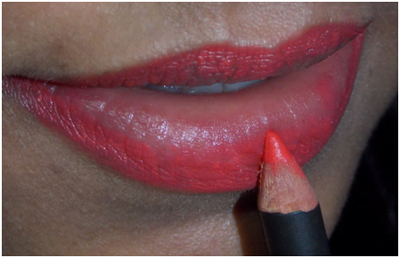 Do not overdraw your lips. Unless you are Kylie Jenner! You should always carry a lip liner in Natural, Pink and Red tones. Hope this tutorial has helped you in your lip lining skills. Let us know if you have any suggestions in the comment box below. We value your feedback. Next articleBleeding Lips – How To Reduce The Fine Lines?